Banana Gourds are great for crafting. 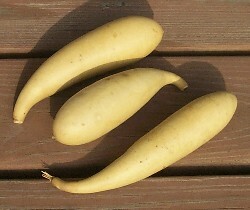 You can make birds, dolls, gourd carrots (see picture below) and whatever your imagination can dream of. Great size for ornaments or sculpting projects. Most are between 4 and 6 inches in length. Banana Gourds are a favorite for crafts. They are excellent for making ornaments, painting, or sculpting. Most are between 4 and 6 inches in length. 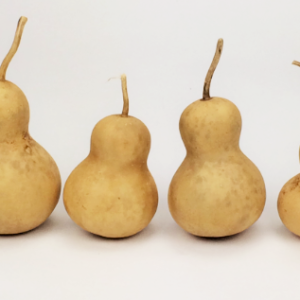 These gourds are perfect for snowmen, ornaments, and garland. These are 2-3″ in diameter and have great shells. Great for many crafts, snowmen, etc. They make nice ornaments because they are so light. 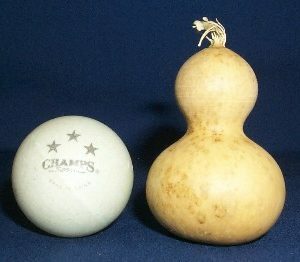 The diameter is measured at the widest point of the gourd. Stock up for all your projects while saving money. 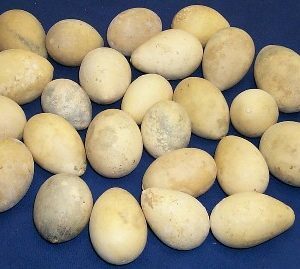 Box of 25 egg gourds, sizes 1″ – 1.5″ dia, 1.5″-2″ in length. Nice smooth, firm shells. 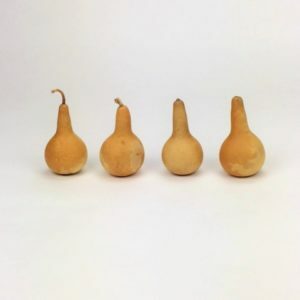 Box of 50 egg gourds, sizes 1″ – 1.5″ dia, 1.5″-2″ in length. Nice smooth, firm shells. This is a box of 20 of our sennaris. They measure 1″ in diameter to about 1-1/2″ in diameter and they are about 1-1/2″ to 2″ tall. These are perfect for ornaments, earrings, garland, and many other crafts. This little gourd gets its nickname because in it shaped like a spoon. Sizes are from 2″ to 2-1/2″ in diameter and from 4″ to 5″ in length. A good ornamental gourd.